For more information, please see our Subscriptions page for FAQs and Gift with Subscription details! A monthly pattern subscription is always an excellent idea. A Rebecca Page subscription is an even better one! 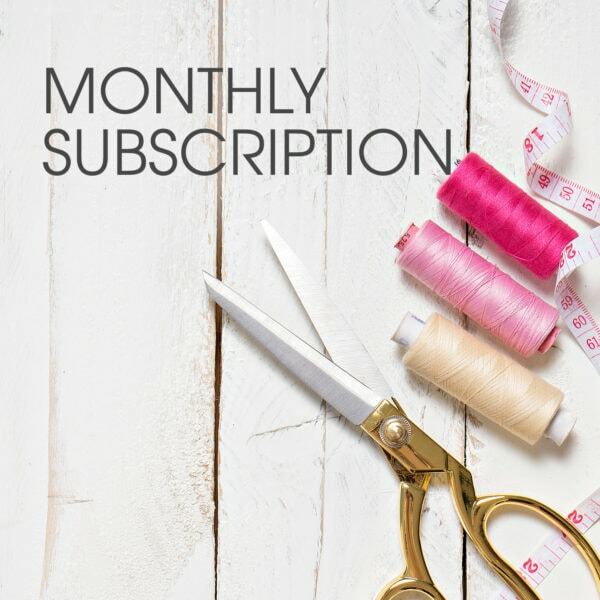 Sign up to the Rebecca Page sewing subscription and automatically receive a pattern credit. You can save your credit each month for a rainy sewing day or use it immediately. For more information, please see our Subscriptions page for FAQs and Gift with Subscription details! Signing up will grant you access to the FREE members-exclusive Strappy Cami ladies’ camisole sewing pattern, as well as an additional 20% off on any other pattern purchases. Excellent value and patterns!